I can remember it like it was yesterday… 1998. I was minding my own business when I heard a thundering herd of humans above me. I decided to pop my head out to see what was going on. As I came out of my hole, I heard lots of noise, and saw people everywhere! I went down again, but my curiosity got the better of me and I decided to take another peek. When I poked my head out, I saw men wearing skirts. PLAID skirts! Wow! I watched everyone laughing, shaking hands, hugging, eating, and what appeared to be having a grand time! I dropped back down and shook my head. I just had to watch more. Back up I popped, when I heard the sweetest sound. Someone was squeezing a plaid bag, but it sounded finer than a fiddle! Then I noticed someone had placed little flags around my hole. How nice. I watched for the whole weekend and had lots of fun. They were such nice people. I was sad when they left. I wanted to know more about them… so I spent the next year researching and learning about my gopherology, er I mean genealogy. I found out I was a wee Scot! Not only that… I was the Laird (Head) of my Clan! When they came back the following year, I came out of my hole looking forward to another weekend of watching “my people”. I was excited to see that someone had made me a tent and my very own Clan badge. I even had a tartan! Now I can’t wait for each year, to put on my finest tartan and join in the fun. 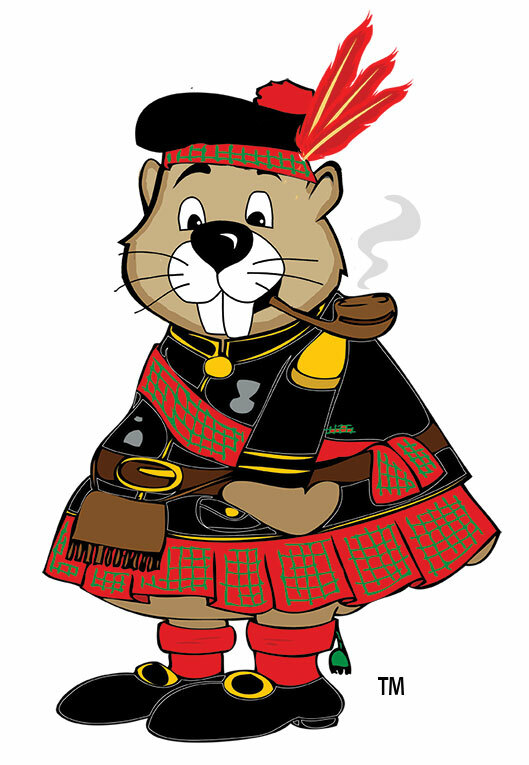 Come visit the Glen of the Clans at this year’s Woodland Celtic Games & Festival (April 28 and 29 at the Yolo County Fairgrounds in Woodland) and see Clan McGopher. I’m part of the Games’ families!